Calling all young planet savers! On Sunday, April 19, Snook the Sloth will descend from the trees to lead a Kid’s Climate March as part of his two-day appearance at the Santa Barbara Earth Day Festival, April 18-19. 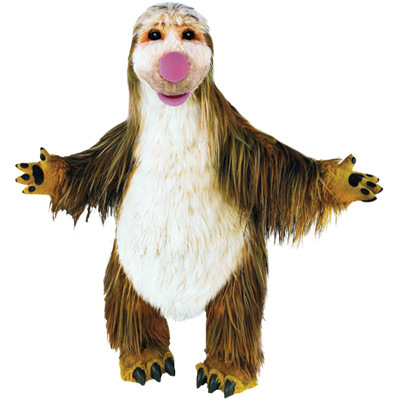 The lovable giant sloth, host of PBS’s It’s a Big Big World and current Spokesloth for the Planet, will join eco-conscious children and area leaders in a march for a sustainable future. The march will begin at Alameda Park at 12:30 p.m. on the Kid’s Corner near Sola and Santa Barbara streets. Come early at 11 a.m. to create a sign or megaphone and get your own Sloth mask, and then stay late for a day of music, theater, dancing, storytelling, and face painting. For an extra bit of eco-fun, families can download a Family Passport from the festival website and earn activity stamps for a prize.